Is there a requirement for Jews to sanctify Yom HaKippurim through generic words or a recitation of a specific formula prior to the onset of Yom Hakippurim? This question refers to whether there is an obligation upon all Jews to sanctify Yom HakIppurim, not the exceptional cases of those who are at mortal risk and are required to eat on the day of Yom Kippurim. To understand this question, we must first analyze the commandment which applies to Yom HaShabbat, the Sabbath day. It is a positive commandment of the Torah to sanctify the Sabbath with words for it states in the Torah, “remember the Sabbath day to sanctify it” (i.e. to make it holy). Shemot 20:8 And one has to remember it at its entrance and at its exit. Laws of the Sabbath, 29:1. Just as we sanctify the Sabbath on its eve, and establish its separation (Havdala) at the conclusion of the day, in the same manner we sanctify the holidays on their eve and declare their separation at their conclusion, and at the conclusion of Yom HaKippurim. For all of them are the Sabbaths of God. Laws of Sabbath, 29:18. There appears to be an ambiguity about the nature of Yom HaKippurim. 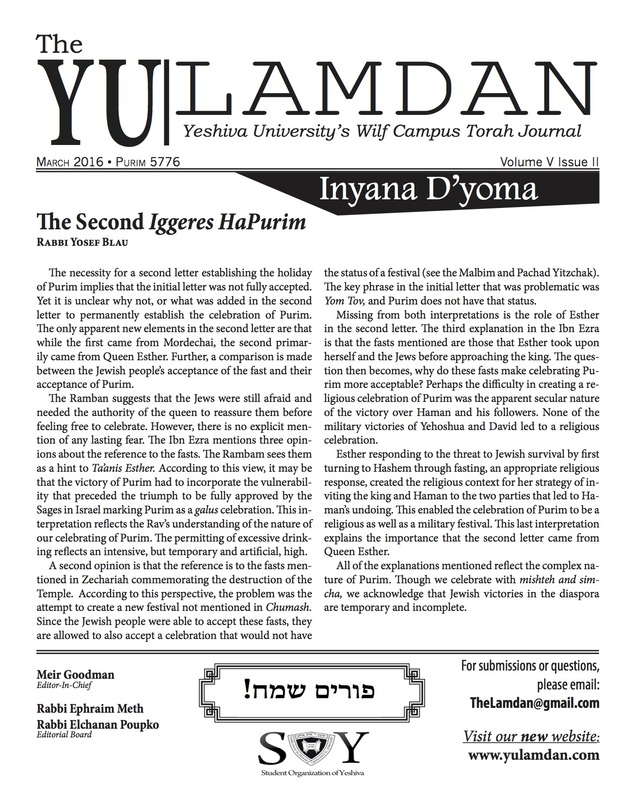 Does Yom HaKippurim only entail the requirement of Havdala, but not Kiddush? If that is so, how could there be one without the other? When it comes to sacred time, the Rambam himself stated above that a boundary must be established at the beginning and at the end of the day. We must also remember that according to Torah law, that boundary is established through words alone. It is the Rabbis who require using wine or bread in order to make Kiddush (consecration) and even other liquids for making Havdala. Thus, the Torah requirement would not violate the fast of Yom HaKippurim. What is more compelling is that even within the Rabbinic setting of making Kiddush over wine, the Rambam states: “One should make Kiddush over the cup (of wine) on the eve of the Sabbath when it is still during the daytime even though the Sabbath had not yet begun.” Laws of Sabbath, 29:11 This is what the Rambam stated above in law 29:1 as the entrance of the Sabbath, which is before the Sabbath has begun. Just like the principle of not working on the Sabbath is one of refraining from work and doing nothing, so is the principle of affliction of the soul (on Yom Kippur) one of holding back and doing nothing . . .Just as with the prohibition of work there is no distinction based upon circumstance (i.e. location) so also the principle of affliction of the soul, should not be based upon the distinction of location. (whether based upon the location is hot or cold) . . .affliction of the soul is a matter which automatically leads to the loss of life and that is only refraining from eating and drinking. Yoma 74b. The Talmud ultimately concludes: “There is no distinction between the Sabbath and Yom HaKippurim except that if one violated the Sabbath with premeditation his punishment is death through the earthly court, while premeditated violation of the other (Yom HaKippurim) is death through the heavenly court (Karet).” Megillah 7b. See Also Mishneh Torah, Shvitat Asor, 1:1, 1:4. The following question is posed by Rabba. “Should one say the Bircat Hazeman on Rosh Hashanah and Yom Kippur? Should I say that since these days occur only once from year to year the blessing should be said, or because these are not called festivals it should not be said?”Eruvin 40b. The Talmud proceeds to eliminate various possibilities which deal with this question. It eventually concludes that in any event, this benediction should be said over a cup of wine. The Talmud concedes that this may apply to Rosh Hashanah, but how could it apply to Yom HaKippurim? “How could that occur on Yom HaKippurim? If one makes the benediction and drinks the cup, once he has made the benediction over the time( Zeman), he has accepted upon himself Yom HaKippurim and thus has forbidden himself to drink!” Eruvin 40b. The Talmud offers several suggestions of how to solve this problem, but ultimately discounts them and finally concludes that one does say Bircat Hazeman prior to Yom HaKippurim, but without the use of wine. See Ibid, also Mishneh Torah, Laws of Shabbat 29:23. The purpose of Kiddush HaYom is to allow a Jew to establish or to create sacred time in partnership with God in God’s creation. That is established primarily through Kiddush. Bircat Hazeman is thus an extension or a portion of that Kiddush HaYom. According to the Rabbis, it is normally said in conjunction with wine. But when wine is not available (or any bread) it may be said as an independent blessing as it is on Yom Hakippurim. To give it its intended meaning of creating sacred time it must be said prior to Yom Hakippurim. This is the role and power given to man to establish sacred time. The blessing of Shehecheyanu is thus said at the end of the Kol Nidre service, but it has nothing to do with Kol Nidre. It must be said prior to Yom Hakippurim when it is still day and when the act of sanctification is still in human hands. By helping to create Yom HaKippurim, we help establish the basis for own Kappara. ← Do You Make a Bracha on Gum?